There are so many movie stars who have made their mark in the sands of time and Pierce Brosnan happens to be one of them. The Irish actor garnered wide popularity through his appearance in the James Bond series. Notably, he is the fifth man to play the role of James Bond in the series. With his acting career spanning over three decades, the multi-talented actor has starred in several blockbuster and thriller movies. For his remarkable performances, Pierce has recorded several awards in his name. Read on to find out more about him. The James Bond actor was born as the only child to a carpenter, Thomas Brosnan, and a nurse, May Smith on the 16th of May 1953. His birth took place in our Lady of Lourdes Hospital Drogheda, Ireland. The actor experienced an unstable childhood; his father left home when he was very young. He moved in with his maternal grandparents, Philip and Kathleen Smith following his mother’s marriage with William Carmichael. Regarding his educational pursuit, Pierce Brosnan attended a local school in Ireland before transferring to Elliot school in London. The actor later dropped out of school and went ahead to train at the Drama Centre London. While doing that, Pierce also enrolled at Saint Martin’s school of arts where he learned painting. Soon after his graduation from the Drama Centre in 1975, the actor got his first job as an acting assistant stage manager at the York Theatre Royal. He later made his first stage performance in a stage play, Wait Until Dark. Shortly after that, he got his first screen role as McCabe in the movie, The Red Devil Battery Sign. His performance in the movie was able to catapult him into the limelight. Pierce Brosnan also played minor roles in different films and TV series before he became a regular face on the TV screen. He earned his first Golden Globe award nomination in 1985 following his role in the miniseries, Nancy Astor. He also garnered fame through his appearance on other films such as Remington Steele and The Fourth Protocol, among others. Subsequently, the actor who first saw the James Bond film Gold Finger at the age of 11 never knew that in the nearest future, he would get to play the exact same role. He first took up the James Bond character in the year 1994 and was a recurring star for four consecutive years. Pierce has equally featured in a good number of movies including his latest film, The Knight’s Daughter. Like always, he never failed his fans in most of them. Through the years of his career, Pierce has been rewarded for his many works both on the screen and for his charitable acts. He was rewarded with the Irish Film and Television Academy Lifetime Achievement Award in 2003 and was also made an honorary Officer of the Order of the British Empire, by the Queen of England. This title also explains the reason behind the abbreviation ‘OBE’ found after his name. He also received honorary degrees from the Institute of Technology, Dublin and the University College Cork in the year 2002 and 2003 respectively. 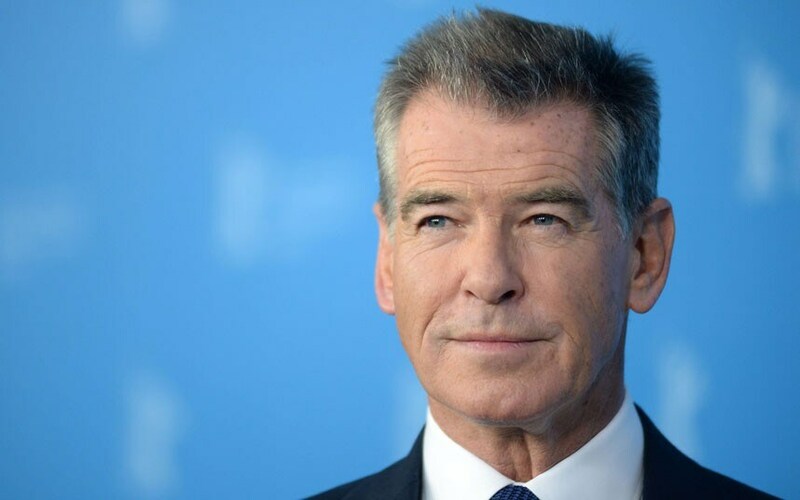 Net Worth: How Much is Pierce Brosnan Worth? Having been in the acting world for over two decades and counting, the James Bond character, Pierce Bronson has undeniably made a fortune from his blossoming career. He has also provided a voice for different animated characters. That said, the movie star currently has a net worth of $80 million. Pierce’s love life started with Cassandra Harris, the two dated for three years before eventually getting married on December 27, 1980. Three years after their union, they welcomed their son, Sean Brosnan. Meanwhile, Cassandra was previously married to Dermot Harris and had two children – Charlotte and Christopher with him; however, upon Dermot’s death, the couple decided to take full responsibility of her other children. Sadly, Cassandra kicked the bucket in 1991 after battling with Ovarian cancer; an ailment she was diagnosed within 1987. Her death was quite devastating for Pierce who later took to hard drugs and cocaine to help him fight his depressed and broken heart. Also, his adopted kids followed his stead leaving little Sean to himself. Later on, Charles Charlotte and Pierce had to undergo a rehabilitation process in order to heal from their past. Three years after that, he gave love another chance with Keely Shaye Smith, despite vowing severally that he would never remarry or fall in love again. The tied the knot in 2001 and their wedding was held at Ballintubber Abbey, Ireland. 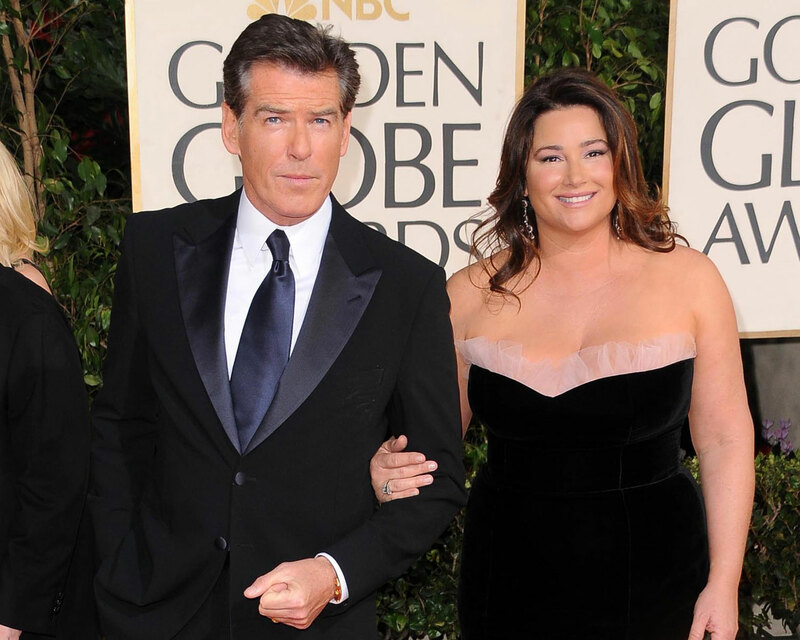 The amazing couple has two sons, Dylan and Paris Brosnan. When it looked like all was going well, Pierce’s daughter, Charlotte gave up the ghost on June 28, 2013. She died after a long battle with ovarian cancer.